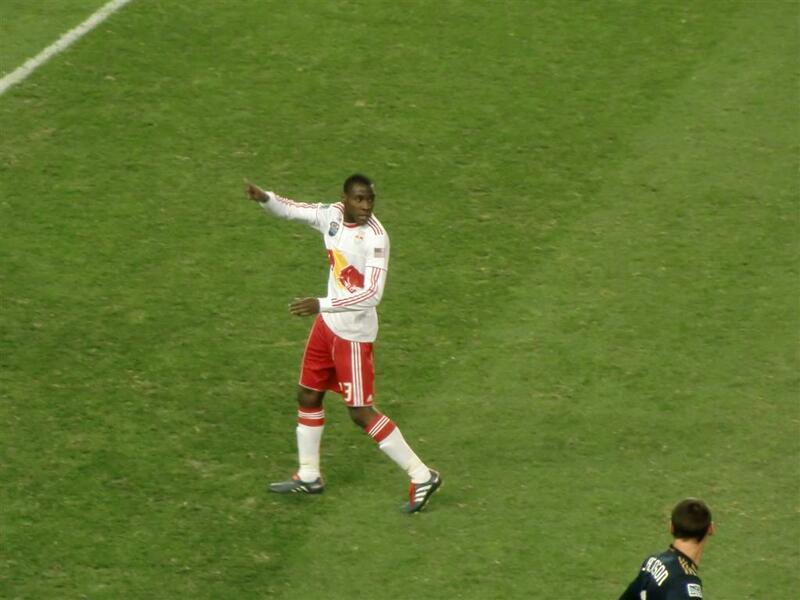 Red Bulls vs Philadelphia: Owned! Wow! Were those really the Philly starters? Are our bench players > than their starters? 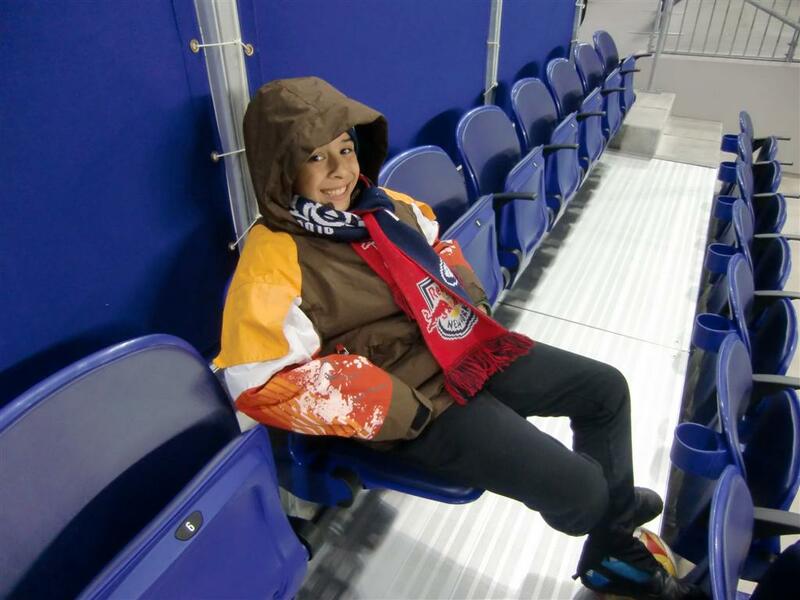 Those are the questions that I was asking myself and my friends after the great 2-1 RBNY US Open Cup victory over the Union, on a cold Tuesday night @Red Bull Arena. Nationally Ranked Conor Chinn, making the most out of his first real start of the year, had both Red Bulls goals. He should have had a hat-trick, if not 4 or 5, but whatever - we won! Philadelphia certainly made it interesting, even down a man. In the end, the Union went back down I-95 with two losses (within 3 days) to a Red Bulls team that seems to have its number in this, its first year of existence. Of greater concern to them is that their leading goal scorer, Sebastien Le Toux, will probably be out for an extended period, as he was injured in yesterday's game. Brilliant Nowak! 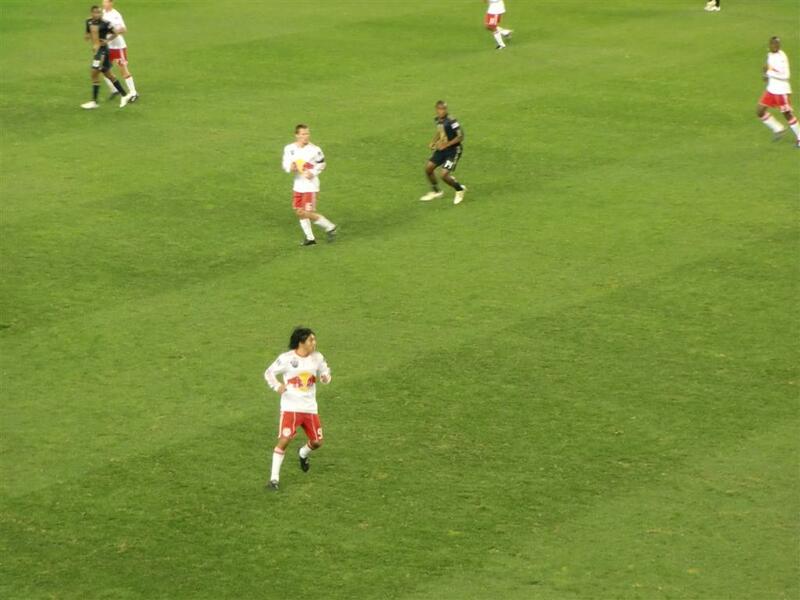 I must say that is was great seeing several young RBNY players on the field for extended minutes. I must give major props to our number #2 pick of the draft, Tony Tchani, who was a monster in the first half. Once he can keep that intensity up for 90 minutes, he's going to be one of the best players in MLS. Kudos also to Irving Garcia, who my son compared to Messi and Carlitos Tevez. Ok, so that might have been a bit too much but he was great in the 10 minutes he was on. Anyway, check out the above video for Pre-match and Half-Time comments. You can click here for our post game comments. I got to watch the match from the Club Seats, right behind the press section, as I wanted to experience how the other half lives, for at least one game. Arm rests and cup holders - yay! 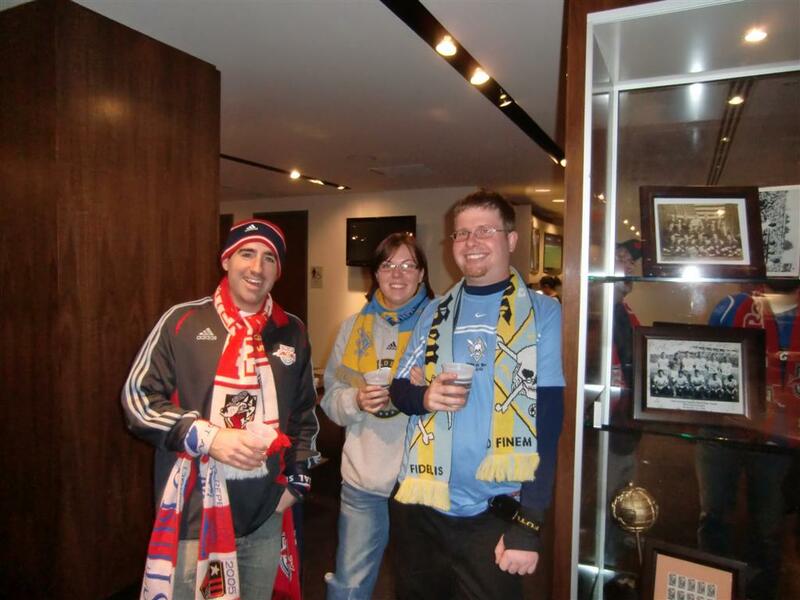 Also, many thanks to the Red Bulls for opening up the Corner Pub/Restaurant to all fans who showed up for this one. There were even some Philly fans there, who, apparently, couldn't resist the allure of the very expensive food and drink. Please click here for my photo set from this game, or click here for the slide show. 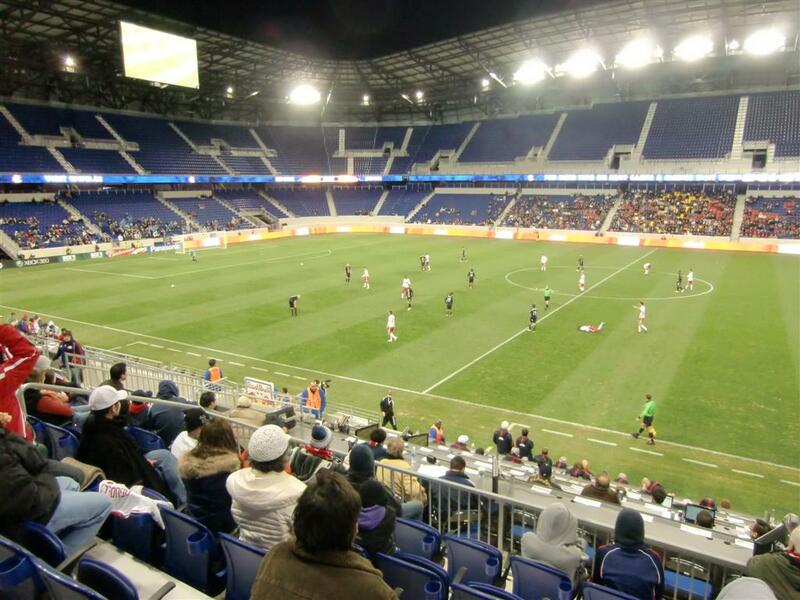 And check out this nice gallery, courtesy Red Bulls Official on Facebook.